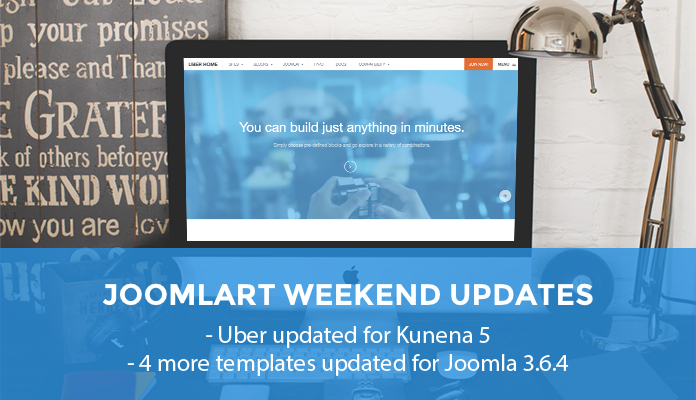 UBER Joomla template supports many 3rd party extensions including Kunena with customized style and layout, since Kunena 5 released, we updated the template to support the new version of Kunena. 2. 4 more Joomla templates updated to Joomla 3.6.4.